Imagine for a moment that you gave birth to the Savior of the world. To the one who would bring salvation and also great controversy. To the one who would heal and be loved by many. To the one who would be hated by others even to the point of being beaten and killed. Will you put yourself in Mary's sandals as you read the beautiful words of this song? "Mary did you know that your baby boy will some day walk on water? Mary did you know that your baby boy will save our sons and daughters? Did you know that your baby boy has come to make you new? This child that you've delivered, will soon deliver you. "Mary did you know that your baby boy will give sight to a blind man? Mary did you know that your baby boy will calm a storm with his hand? Did you know that your baby boy has walked where angels trod? And when your kiss your little baby, you have kissed the face of God. "The blind will see, the deaf will hear, the dead will live again. The lame will leap, the dumb will speak, the praises of the lamb. "Mary did you know that your baby boy is Lord of all creation? 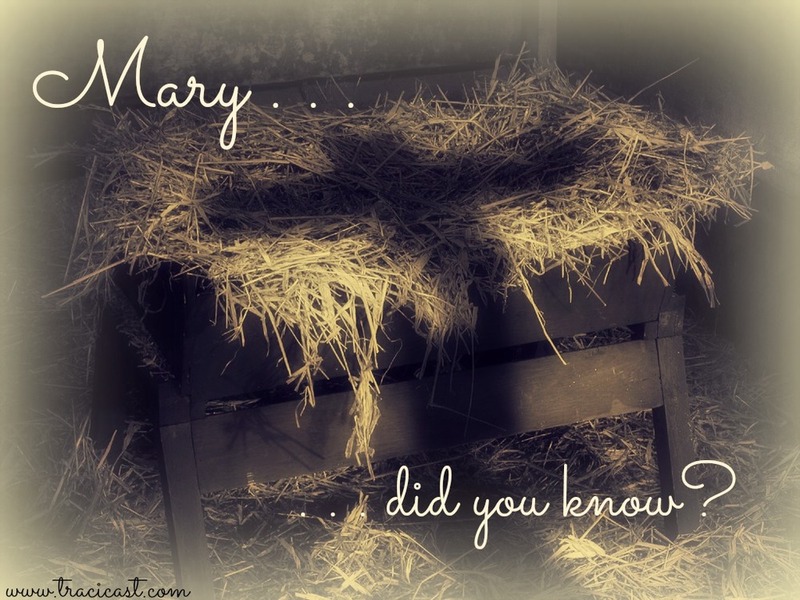 Mary did you know that your baby boy would one day rule the nations? Did you know that your baby boy is heaven's perfect Lamb? This sleeping child you're holding is the great I am." God has not given you or me His son to raise on this earth, but He has given each of us some precious gifts: forgiveness, life, dreams, and passions. How are you holding the dreams He has given you? Are you living out those dreams fully? Are you pursuing with passion all that you have been given and called to do? To those who have been given much, much is required. Will you use all that you have been given to live the extraordinary life for which you were designed and created?